Race 1 of the annual Duathlon Series got off to an unusual (for this wet season) damp start. We welcomed a number of new members to their first event and had plenty of supporters on hand to encourage competitors. Well done to all participants some of whom backed up from the cross country the night before. A big thank you to those on event roster - Race Director John Thyne, our registration volunteers Rena Walker & Angela Librio and Vicki Woodrow who took care of fruit & ice. Thanks also to those who helped with our water station and with set up and packing away, your assistance was much appreciated. Our next event is one of the most popular on our calendar - the Enduro format is back - 200m swim, 5km bike, 2km run x 3, which will test the brain as well as the body. 1. With another long weekend this weekend and a myriad of activities taking place, we are seeking expressions of interest from juniors who are intending to participate in the junior event scheduled for Sunday morning. 2. Parents please email darwintriclubjunior@gmail.com by 3pm tomorrow (Thursday) to add your child's name to the list. 3. Depending on numbers, a decision will then be made on whether the event will go ahead. Watch for email and Facebook announcements. 1. Thanks to John Thyne who recently took our timing boxes to WA & back for a much needed service. 2. Competitors at the duathlon will have noticed that our new racks have now been shortened. Thanks to the HPA crew who did a great job. 3. Also on racks, we would also like to thank Cycle Zone Darwin & Nic French for their input and help in sourcing a local supplier and refining our rack design requirements. We are already noticing the difference the new light weight design makes to towing the old trailer and also to the willingness of people to assist with racking. 4. New trailer design is progressing. Watch this space. 5. Committee voted to amend our Age Group Triathlete of the Year Pointscore Policy from 1 July 2016 when we will change from 10 to 5 year age categories. 1. 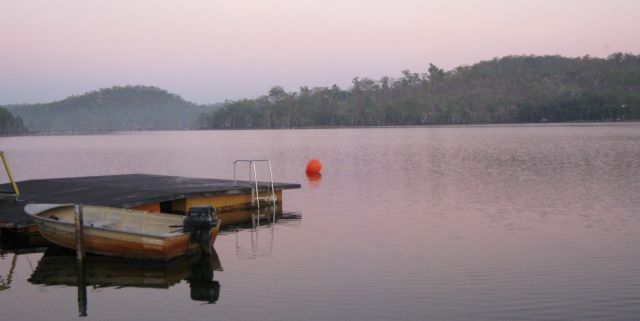 Kakadu Triathlon 14 May 2016 - heads up, almost at sellout status. 2. Following his recent efforts in WA, John Thyne has now completed a marathon in all states and territories. 3. We have Glen Scholz and Rowena Eastick among competitors lining up at XTERRA Asia Pacific Championships at Callala, NSW this weekend. Good luck. 5. Congrats Bec Ellison - 2016 Young Achiever Award winner - Health & Wellbeing category. 6. Don't forget to book your campsite or accommodation at Lake Bennett Resort for our Kerran Mudgway Memorial Club Championships, 4:30pm Sat 21 May 16. 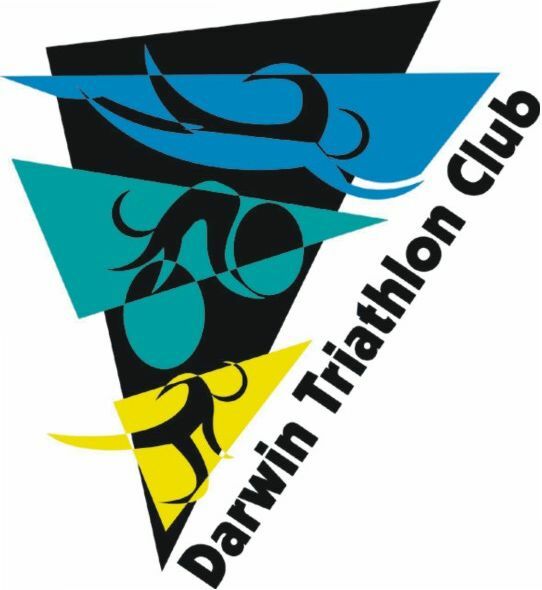 Mention you are booking with Darwin Triathlon Club. We are looking into post race catering options - any ideas, let us know. 7. Good luck to our members taking part in the Anzac Day swim on Monday. 8. Reminder we have a discount code current for those wishing to join now to be able to participate in the remainder of our 2015|2016 events. Add DTC16 to receive $40 off your membership current to 30 June 16. 9. Stork report - congrats to new dad Jerome Bosmans on arrival of baby Hannah. Naomi Havens 1st Open F 5km 25:00; Emma Winterflood 1st Vet F 5km 28:45; Robbie Weatherald 1st Vet M 5km 21:44 and Fran Edis 1st Vet F 10km 56:11. 12. Duathlon - Lucky draw winners: Billy Lynch (AMart Voucher); Daryl Stanley (AMart Voucher) & David Hancock (Laneway Coffee voucher). 13. Club tshirt duathlon event entry prizes: Alan Barrett, Ron Griep & Kylie Scholz. 14. Congrats to all our prize winners.